Billund Designer Outlet is relaunched. 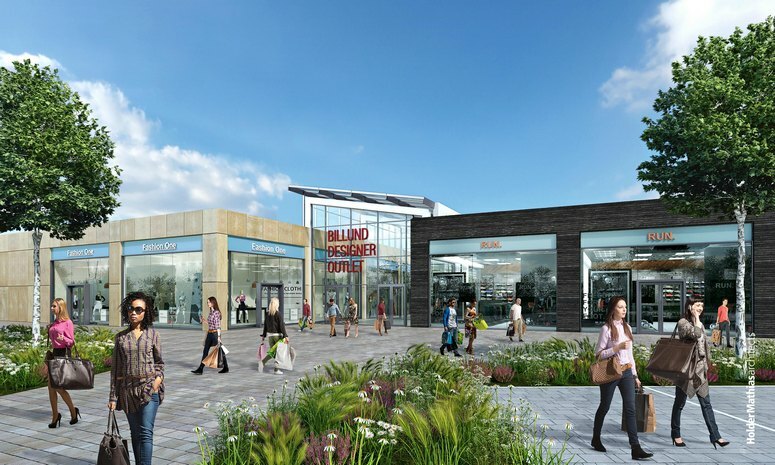 Recently, Resolution Property announced the relaunch of the Designer Outlet project in Billund, a joint venture with Lalandia to develop a €120 million state-of-the-art shopping center in Billund Resort, a flourishing tourist hub in Denmark. The project joins the company’s outlet center portfolio, which includes two other assets – Designer Outlet Soltau in Germany and Honfleur Normandy Outlet in France. Billund Designer Outlet is situated adjacent to Legoland Billund Resort, the Lalandia Holiday Resort with 880 holiday homes, Lalandia Aquadome, and the new Lego House completed in 2017. Approximately three million tourists visit the Danish town annually, and the site is only five minutes away from Billund International Airport – the second largest airport in Denmark, which accommodates more than three million travelers annually. Resolution Property will deliver 20,400 sq m GLA across two phases. Billund Designer Outlet will provide 120 retail stores, five high-quality restaurants, and additional leisure offerings. Once completed, the outlet center will be open seven days a week to cater to local shoppers and visiting tourists. IKEA Centres and Mutschler Outlet Holding AG have recently opened the first phase of Designer Outlet Croatia in Zagreb. In addition to its commercial shops and new theme, the outlet features a number of customer services, such as center information, strollers, free Wi-Fi, gift cards, mobile chargers, baby care facilities, an exchange office, chill out zones, terraces, and a future playground area. IKEA Centres has opened its second outlet center, the Designer Outlet Croatia. Project Manager Branko Mihajlov explains what criteria were – and will continue to be – applied when choosing locations. Franz A. Kollitsch, co-founder of Austrian real estate developer Invester United Benefits, speaks about the company's latest activities and why outlet centers are the ideal complement to online shopping. In mid-March, Cineplexx opened a multiplex movie theater with five screens and over 800 seats in Parndorf, Burgenland. Immediate neighbors include McArthurGlen's Designer Outlet Parndorf and FOP Management GmbH's Parndorf Fashion Outlet.